Given the rather affordable price of the GTN token, casual crypto buyers might overlook the potential of this crypto. The trading price for most of the second half of 2018, has been in the $0.18 to $0.22 range. Then came November and December 2018, months when the mighty Bitcoin had a massive fall. With the king of the crypto world losing more than 70% of its value, crypto markets across the globe wore a gloomy look. Bitcoin ended the year with a low of $3,600, the start of 2019 did not bring better fortunes. It was interesting to see how seasoned crypto traders, rallied around the Glitzkoin project and GTN token during those tough times. Listed on the Stellarport exchange in July 2018 shortly after, the successful completion of the ICO in June 2018, the GTN token experienced a significant surge in trading activity. The token broke through the $0.22 mark and reached the $0.30 level. This at a time when the overall crypto market scene was clearly bearish. The GTN price of $0.30 delivered a 50% appreciation when, compared to the tokens’ $0.20 ICO closing price. Glitzkoin is an industry specific project, it is focused on improving efficiency and market reach, for the multibillion dollar diamond industry. This implies that, the GTN token has a much larger role to play, trading activity supported by the crypto community is just one of its functions. The project includes a comprehensive diamond trading platform DiaEx, that supports both B2B and B2C trade in diamonds. The DiaEx diamond exchange to be launched in the first quarter of 2019 is designed to accept, the GTN token as the mode of payment. It is now easy to see why demand for the token on the crypto exchanges, would come not only from crypto space participants, but also from diamond traders seeking to fulfill their payment obligations. Crypto analysts have now begun to understand the benefits of deploying, industry specific blockchain based applications. 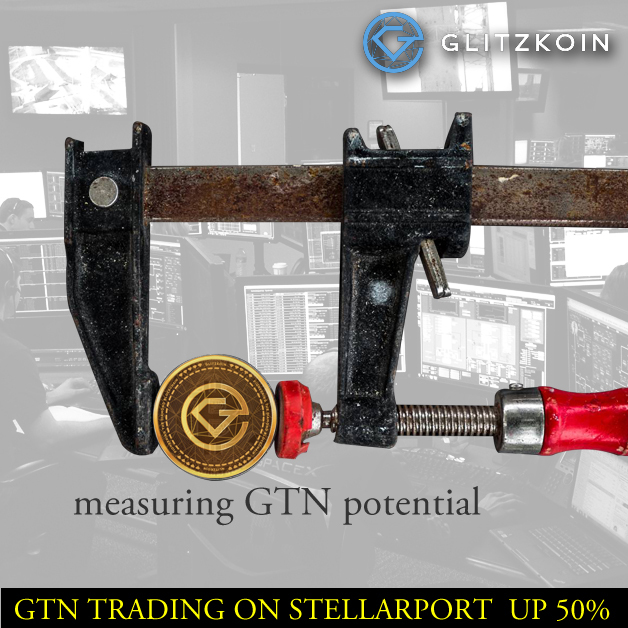 Glitzkoin has gone a step further and explored other means of enhancing demand for the GTN token. This could involve partnerships with businesses that, go beyond the diamond industry. In a January 2019 announcement, Glitzkoin confirmed that it had officially inked a partnership with online ticketing giant Myticket.asia. Scheduled for a Q1-2019 launch, visitors on the ticketing portal, could soon use the GTN token to pay for their purchases. This activity would create yet another stream of demand for the token. You should now have a better idea of the potential of the GTN token, sit back and make your decision – no pressure selling here. You can track and trade the token on the Stellarport exchange. Negotiations are on, to list the token on other popular crypto exchanges.